Minnesota Federal Criminal Defense Lawyers - Oberheiden, P.C. The “Land of 10,000 Lakes,” is part of the United States Court of Appeals for the Eighth Circuit (in case citations, 8th Cir.). In the United States District Court for the District of Minnesota, federal prosecutors are tasked to enforce federal law on behalf of the U.S. Department of Justice. Minnesota contains one federal district, the United States District Court for the District of Minnesota (in case citations, D. Minn.). This district locates federal courthouses as well as branches of the Department of Justice, so-called U.S. Attorney’s Offices. The U.S. Attorney’s Offices in Minnesota employ federal prosecutors, also referred to as Assistant United States Attorneys (AUSA). At Oberheiden, P.C. we take great pride in the fact that we have a long track record of success in federal defense litigation all across the United States. 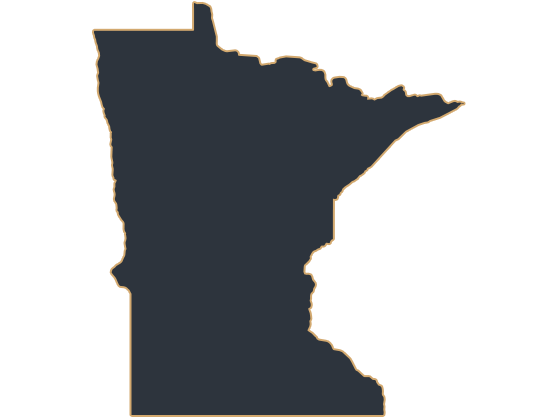 Our Minnesota federal criminal defense lawyers will provide you with a free and confidential consultation, and help you understand the process as a whole, and what your next steps are. Call (888) 519-4897 today. Our law firm focuses exclusively on federal defense litigation and has represented various individual and corporate clients in hundreds of federal criminal cases and investigations. Our federal attorneys have achieved incredible outcomes even under the most difficult circumstances, and we are ready to do the same for you. Don’t leave yourself exposed to criminal prosecution and sentencing by believing that just any lawyer can help protect your future. Inexperienced attorneys may not understand the complexities of a federal criminal investigation or case. At Oberheiden, P.C., many of our attorneys are former federal prosecutors who know which steps to take in order to help you avoid charges, including prison time, or exorbitant fees. Do you suspect that you are under investigation by the FBI, IRS, OIG, DEA, or other agencies in Minneapolis or St. Paul? Have you received a target letter or grand jury subpoena from the U.S. Attorney’s Office in Minneapolis—and do not know how to respond? In such situations, time is not on your side, you should contact competent counsel immediately. Oberheiden, P.C. takes a proactive approach that always seeks for opportunities to have charges against you dropped or investigations stopped altogether. Criminal investigations are completely different from civil investigations. In a civil investigation, there is no possibility for the government to pursue incarceration as a penalty for the charges. Even though criminal investigations are more high stakes affairs, our firm has a record of securing favorable results for our clients across the nation. By far, the vast majority of our clients contacted us during the investigative phase, because delaying in such situations is never a good plan. The chances are that numerous agencies are working together as part of the investigation. The Department of Justice (DOJ) with its locations in Minneapolis and St. Paul, the Internal Revenue Service (IRS), the Federal Bureau of Investigation (FBI), the Office of the Inspector General (OIG), and the Drug Enforcement Administration (DEA) are just a few examples of the federal agencies that often work in concert to pursue charges. During the investigative phase of litigation – the first opportunity to defend yourself presents itself. Your Minnesota federal criminal defense lawyers will need to accomplish two goals: (1) determining which agencies are involved in the investigation, and (2) determining what the exact nature of the investigation is, and whether it is criminal or civil in nature. The difference could be crucial. In order for federal prosecutors to formally pursue criminal charges against defendants, a grand jury subpoena is utilized. If you have received a grand jury subpoena from the government, one of your first steps should involve contacting an attorney to discuss your next steps moving forward. In federal litigation – experience counts twice as much. Our firm has a long history of achieving positive results for our clients and a knowledgeable attorney will know which documents to produce and why, and how to present yourself in front of a jury, if necessary. Taking the risk of hiring an unproven attorney or a lawyer that does not focus on federal litigation is never warranted at such a time. Don’t put your freedom on the line. Seeking a favorable resolution prior to the trial is one of the strongest strategies available to your attorneys. Most charges are resolved during the pre-trial stage and an effective Minnesota federal criminal defense lawyers will know which steps to take in order to accomplish this. Oberheiden, P.C.’s attorneys have a combined century of experience when it comes to working with U.S. Attorney’s Offices in order to have charges dropped entirely on behalf of our various clients across the U.S. This includes reaching plea bargains and negotiating effectively in order to secure leverage. Even if a guilty verdict is rendered against you – our attorneys never stop attempting to obtain a favorable result or sentence, as a way to minimize the consequences of conviction. It’s never a good idea to assume that a good result cannot be achieved, even if an unfavorable verdict is rendered against you. Even though the grounds for appeals can be limited in a federal criminal trial, our Minnesota federal criminal defense lawyer have the experience to preserve potential appellate arguments. Oberheiden, P.C. also maintains an active appellate practice in addition to representing individuals and corporate defendants at trial. The United States District Court for the District of Minnesota (in case citations, D. Minn.) covers the counties of Dodge, Fillmore, Houston, Mower, Olmsted, Steele, Wabasha, Winona, Blue Earth, Brown, Cottonwood, Faribault, Freeborn, Jackson, Lac qui Parle, Le Sueur, Lincoln, Lyon, Martin, Murray, Nicollet, Nobles, Pipestone, Redwood, Rock, Sibley, Waseca, Watonwan, Yellow Medicine, Chisago, Dakota, Goodhue, Ramsey, Rice, Scott, Washington, Anoka, Carver, Chippewa, Hennepin, Isanti, Kandiyohi, McLeod, Meeker, Renville, Sherburne, Swift, Wright, Aitkin, Benton, Carlton, Cass, Cook, Crow Wing, Itasca, Kanabec, Koochiching, Lake, Mille Lacs, Morrison, Pine, Saint Louis, Becker, Beltrami, Big Stone, Clay, Clearwater, Douglas, Grant, Hubbard, Kittson, Lake of the Woods, Mahnomen, Marshall, Norman, Otter Tail, Pennington, Polk, Pope, Red Lake, Roseau, Stearns, Stevens, Todd, Traverse, Wadena, and Wilkin and it hosts federal courthouses and U.S. Attorney’s Offices in Minneapolis (300 South Fourth Street, Suite 202, Minneapolis, MN 55415), St. Paul (316 North Robert Street, Suite 100, St. Paul, MN 55101), Duluth (515 West First Street, Suite 417, Duluth, MN 55802-1397), and Fergus Falls (118 South Mill Street, Suite 212, Fergus Falls, MN 56537). What Are Conditions for Pre-Trial Release? – Learn about what is necessary for your attorneys to get you out of jail and what to do if you have been detained pending trial. Our attorney’s know how to craft a strong and effective legal defense at all stages of the process. What Is the Burden of Proof in Federal Criminal Cases? –In federal criminal proceedings, the government has the burden of proof, which is “beyond a reasonable doubt.” Find out what this means exactly and how your legal defense team will prepare for the possibility of trial. How to Prepare for a Criminal Trial – Did you know that social media could negatively impact your case? Read about how everyday events, and even serious actions such as destroying evidence could hurt your chances for a favorable outcome. Read about your options and how to prepare yourself for trial in order to gain a favorable outcome. Remember – preparation is key, especially in high stakes federal trials. How Can I Prepare for My Sentencing Hearing? – You can protect yourself from huge fines and penalties, and can effectively prepare yourself for the possibility of a sentencing hearing. Find out how. Federal Grand Jury Subpoena Defense – A petit state jury is completely different from a federal grand jury and effectively responding to a federal grand jury subpoena is an extremely important matter. Read about what our seasoned Minnesota federal criminal defense lawyers do in such situations. What Are My Options after Being Federally Indicted? – Dr. Nick Oberheiden explains that even if you have been federally indicted, you may still have several legal options on the table and should not give up. Learn all about the scenarios to protect yourself from federal prosecution from a proven federal defense attorney with years of experience in these matters. Q: What should I do if I have received a subpoena or target letter from the U.S. Attorney's Office in Minnesota? The first step is to contact a federal lawyer. If you have received a target letter or subpoena from the FBI, OIG, DEA, DOJ, or IRS that means you are under criminal investigation. A letter such as that could be a major signal that you are the subject of a federal investigation. Our Minnesota federal criminal defense lawyers can counsel you on the next steps to take if you are the target of a government investigation. We have avoided indictments even for clients that had received a target letter or were told to be prosecuted. With years of federal litigation experience and a long track record of helping our clients avoid charges, our Minnesota federal criminal defense attorneys have obtained acquittals at trials, even with federally indicted clients. Our attorneys can also help you negotiate a fair plea deal and reduce the severity of your indictment, even if there is no way to avoid sentencing. One of the first goals for your legal defense team will be to determine whether your investigation is civil or criminal in nature, because the difference is absolutely key. Oberheiden, P.C.’s attorneys will provide you with advice throughout the entire process and help you make informed decisions regarding your case. It starts with a free confidential consultation from one of our senior attorneys. Our Minnesota federal criminal defense attorneys will help you understand your legal defense options and provide you with a roadmap to avoid charges. Do not hesitate to call us today. If you need a federal criminal defense lawyer in Minnesota, we encourage you to contact us immediately to schedule your free case assessment. To discuss your case in confidence, call us at (888) 519-4897 or send us your contact information online now.